5 lb. refill for chalk lines. 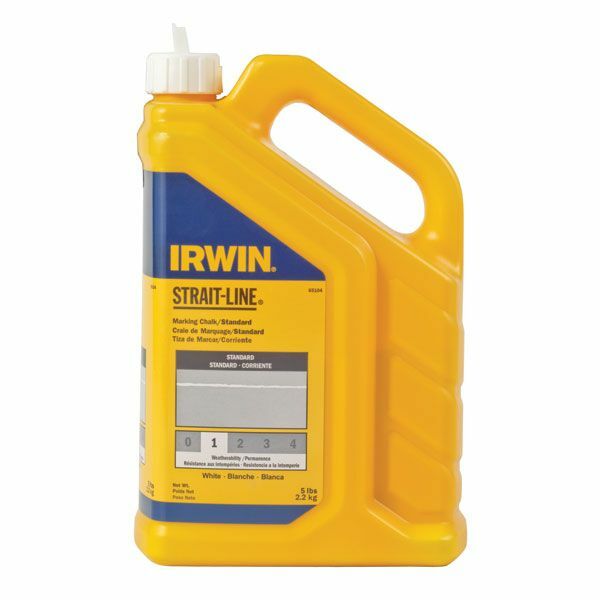 Irwin STRAIGHT-LINE standard white marking chalk is used for temporary marking carpet with high visibility for accurate cuts. A folding and self-sealing extension nozzle allow for quick, accurate refills. Includes 5 lbs. of chalk per jug.